A sugar boycott was used in the late 1700's by campaigners ant the tactic was revived in the 1820s Abolitionists campaigned for people to stop purchasing at shops. These campaigns were primarily supported by the female antislavery associations found all over England. They distributed thousands of pamphlets and leaflets door-to-door in an effort to persuade British consumers not to buy West Indian sugar. 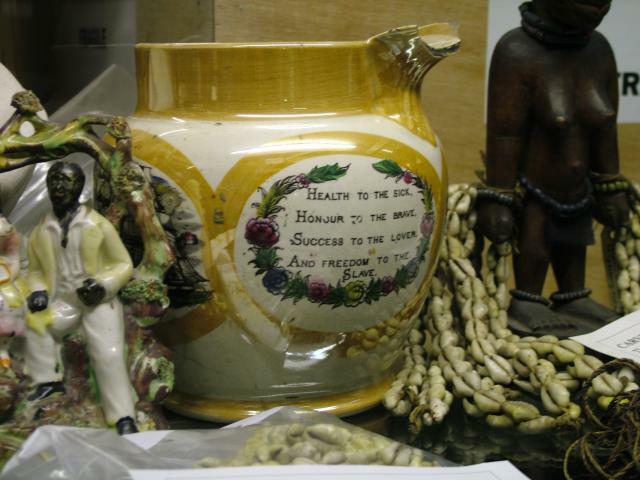 English ceramic manufacturers responded by making sugar bowls and tea sets inscribed with anti-slavery slogans.